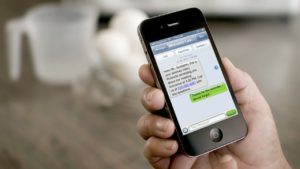 What is SMS Text Message Marketing? Let’s start off with what it’s not. SMS text messages sent do not come to you unsolicited. Legal text messages come to you that you have given permission to be sent to you. If you ever get a text message trying to advertise to you without your permission, these texts are not permitted and can be reported as SPAM. When is permission given? One way is by opting in to a text campaign via a short code. For example, a local Pizza shop advertises to text the word “PIZZA” to 12345. You will then get a text asking you if you want to accept messages from the sender. This is called a “double opt-in”. These two actions, texting PIZZA to 12345 and verifying that you’ll accept messages from 12345, confirm that you permit the text messages. In our example, the owner will now have a secure database of mobile numbers that have opted in to his or her campaign. They can now send a broadcast message to their list when they want to offer another deal for their customers. What is a good offer? Simply put, a good offer is any good deal that a business owner can afford. Since their customers have shown loyalty by entrusting them with their mobile number, it would make sense for businesses to make offers valuable enough for anyone to want to act upon them. A large discount on a service or product, a buy one get one deal, a free trial – the sky is the limit. But they should make certain the deal is worth it. Why? Because you, as a customer, can easily opt out of an SMS text message marketing campaign, in most cases, by just texting the word STOP to stop any more messages coming to your cell phone. Your number is also automatically deleted from the business’ database. The only way for them to legally text you again is by you opting in to their campaign again. Are you a business owner that would like to expand their market to mobile customers by offering valuable discounts via SMS text message? Then contact us today! We would be happy to discuss implementing an SMS Text Messaging campaign for you. As a customer, do you know of a business that you wouldn’t mind to receive mobile text offers from that were truly valuable? Tell them that CNY Media Solutions offers affordable text message campaigns for nearly any kind of business. And let them know to mention your name!